The enormously powerful and power efficient Antminer S4 – 2 TH/S is now available for only €799,-(second hand). The AntMiner S4 is the fourth generation Bitcoin mining rig by Bitmain. It uses the state of the art BM1382 chip powered by the 28nm tech process with ultra-low power consumption. This item has been gently used and is working perfectly. The Antminer S4 is ready to be used, plug and mine! 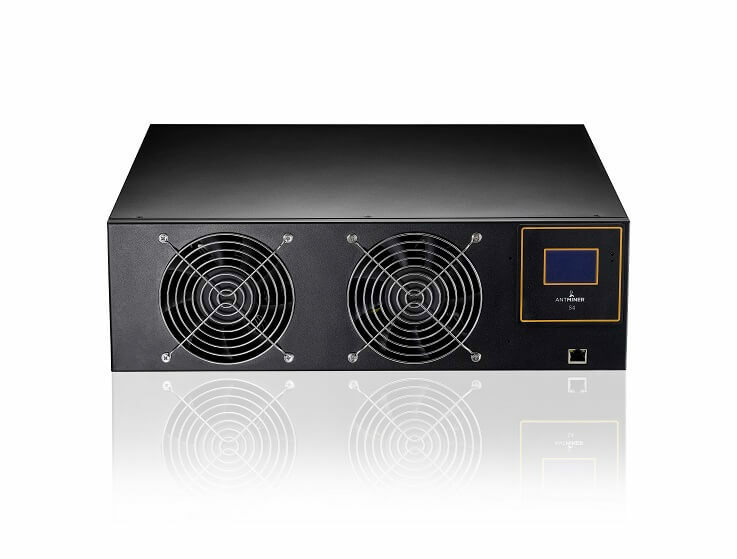 The AntMiner S4 is built into 3U size box, although its hashrate is twice that of the S2. The Antminer S4’s design is hugely improved from S2’s experiences, using less hash blades and adjusting the space structure in each box to bring a light and portable model. It will be very convenient to deploy. PSU inside: 1400W, 80PLUS gold. Power line included. The S4 is now on sale for the best price of €799,-! Shipped immediately after payment! Plug and mine! Delivered within several days all over Europe! No additional VAT! In stock! Warranty included!